guy on beer (probably) : Yes. I would like to link to this video. But I would like it to be static. Can I do that? presenter : Yes, you should use an image for that Sir. 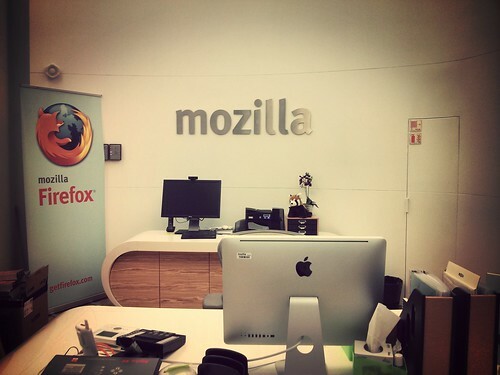 Tonight I went to visit Mozilla with 2 devs friends, we ate sushi and stuff. So much better than the pizza and beer combo traditionally fed to developers. Also, the web should be open and free to everyone, the web is yours. Yum, thank you Mozilla.